Storemore Europa Size 2A: The Europa size 2A is a wider but less deep version of the size 2. It has a 8’ x 3’ size. 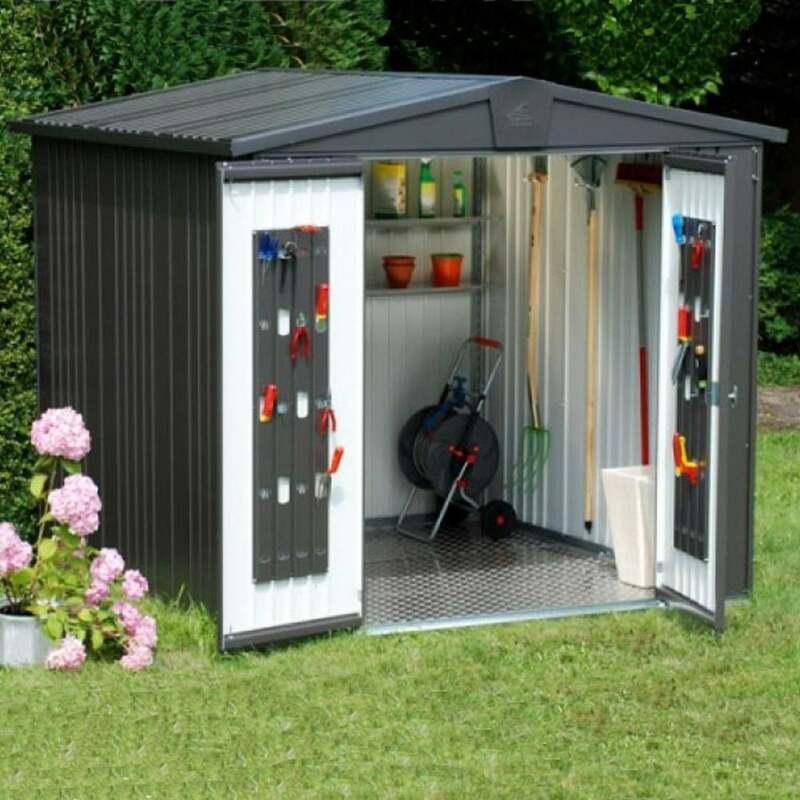 This shed is ideal for storing tools, garden equipment such as mowers or folding chairs when not in use. It is constructed using high quality, galvanised and polyamide coated steel that is both durable and practical. The shed comes with a shelf set, a tool hanger and a two way lock for security. It has an inbuilt gutter system for rainwater harvesting if you should wish.